2017’s New Year’s Eve Celebration at The Warren City Club will surely be one to remember! If you want something different, something special, with just enough intimacy and just the right amount of party, look no further. This is not your hotel ballroom kind of night. 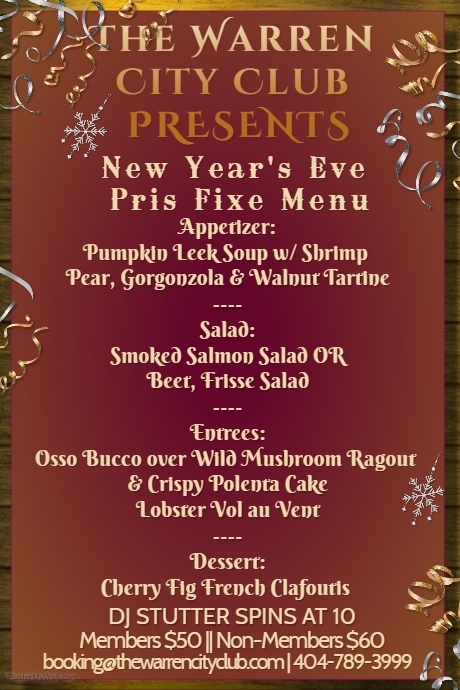 This will be a beautiful and festive evening with dinner, dancing, champagne and fun. Chef Ashley is preparing a delicious 4 course meal with fabulous choices for everyone. 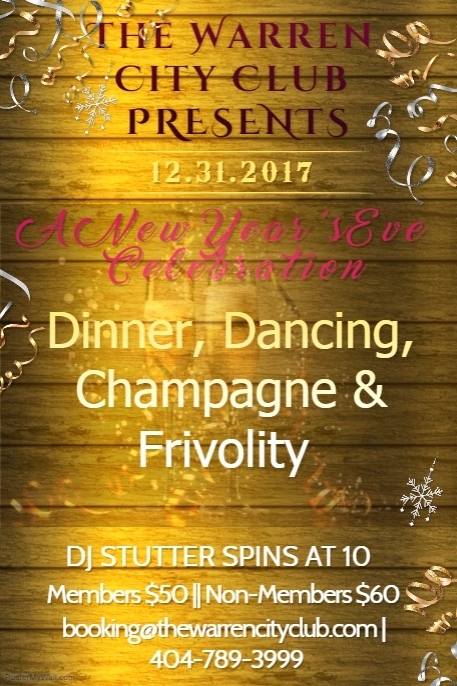 Then DJ Stutter will ring in the new year and rock us into 2018. Limited availability; purchase tickets here.